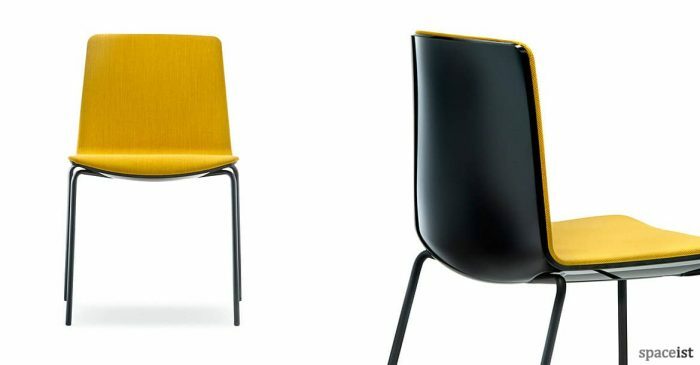 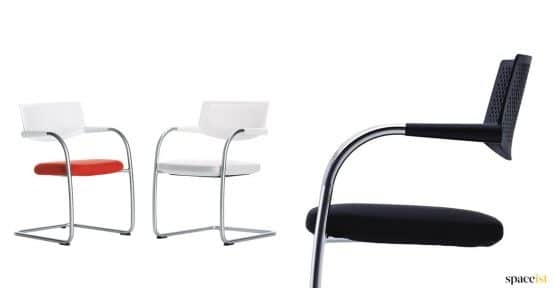 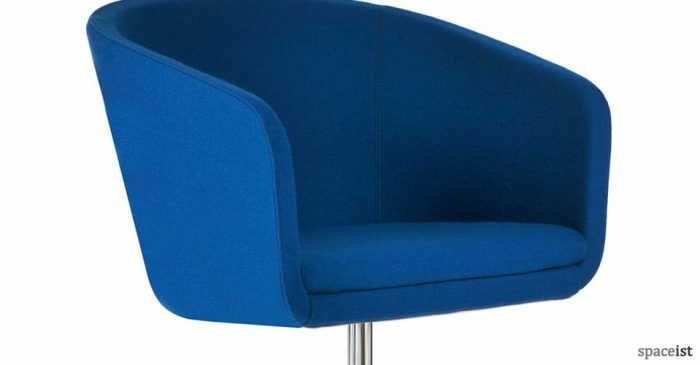 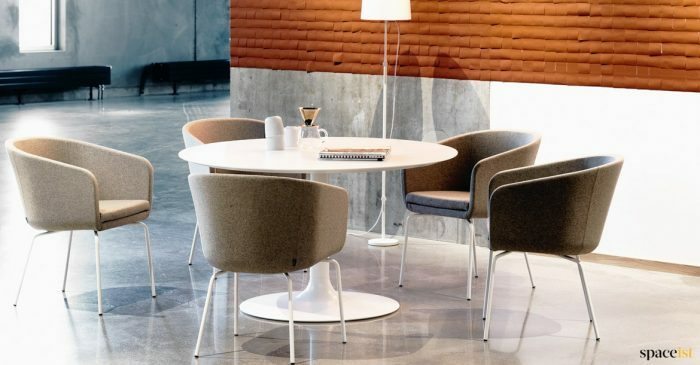 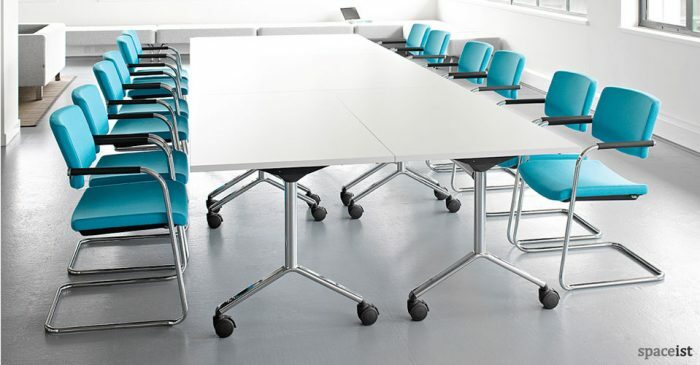 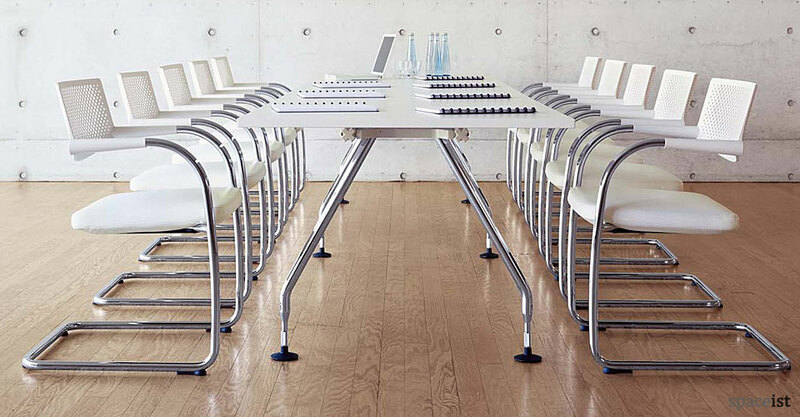 Visavis cantilever meeting chairs come with a white or black plastic back. 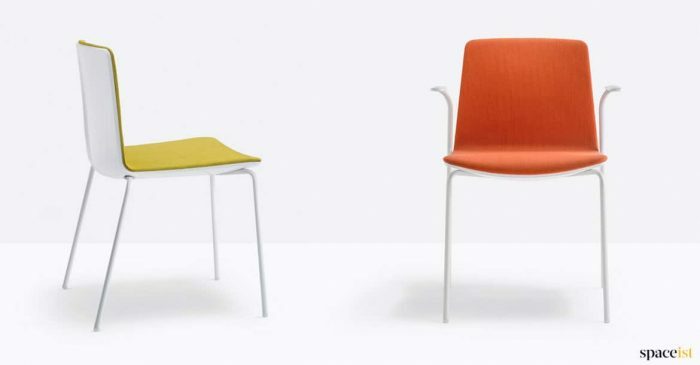 The red and white seat pad are one of many fabric colours available for Visavis. Stacking cantilever frame comes in black or chrome.